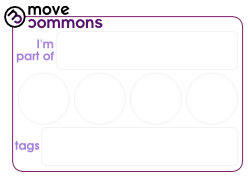 A nice way to introduce Move Commons in a presentation is through… stickers 🙂 You have an empty sticker with your Name / Tags / 4 empty slots. You fill-in your name and tags, that’s easy. 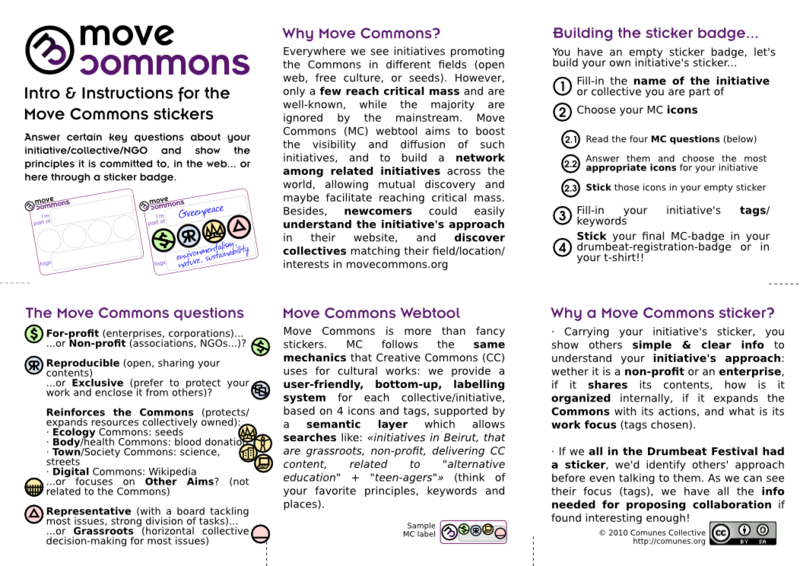 Afterwards, you answer the four MC questions in order to choose your icons. 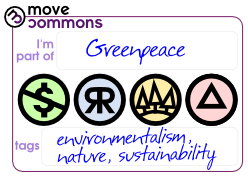 Then you have a filled MC sticker which you can show around… and if you find others carrying their own stickers, you can understand their initiatives/collectives at first glance.